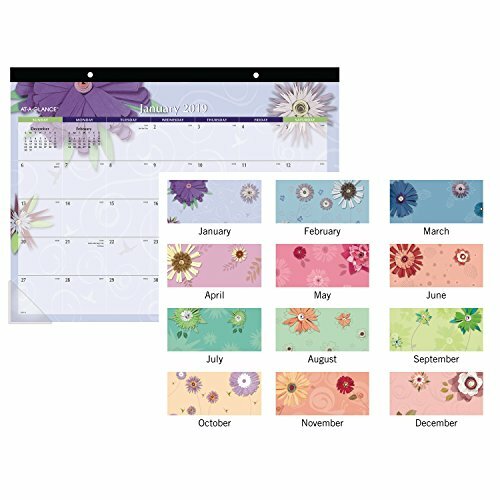 At-A-Glance paper flowers desk pad helps protect your desk and features a new bright floral design each month. High-quality paper features superior ink bleed resistance. 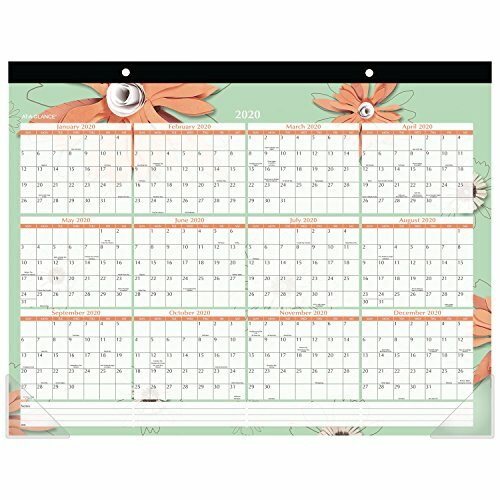 Desk pad covers 12 months January - December allowing you to easily makes plans for the entire year. One month per page along with past and future month reference calendars for efficient monthly planning. Features large, unruled daily 2 13/16" x 2-1/2" blocks for scheduling and notetaking. Wide, black top binding is punched with two holes for easy wall hanging. Perforated pages tear off cleanly and easily at the end of each month. Two clear, Poly corners included to tuck in pages and make sure they lie flat. The paper is colored, providing an attractive backdrop for the fun paper flowers design. 21-3/4" x 17". 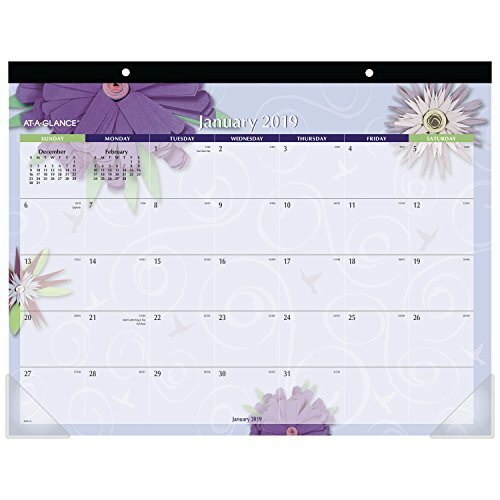 Desk pad helps protect your desk and features a New bright floral design each month. 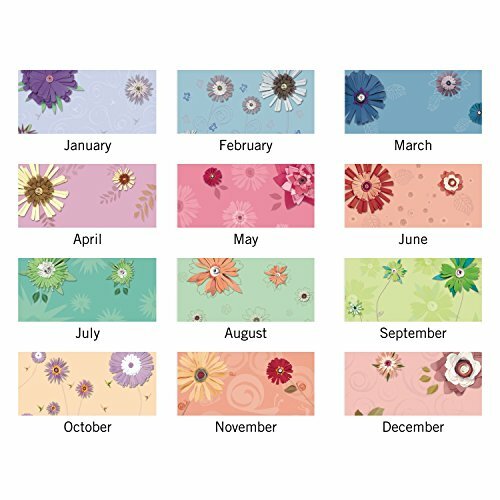 Covers 12 months January - December allowing you to easily plan for the entire Year. Julian dates. Past and future month reference calendars. Large, unruled daily 2-13/16" x 2-1/2" blocks. Wide, top binding is punched with two Holes for easy wall hanging. Perforated pages. Two clear, Poly corners. Printed on quality paper containing 30% post-consumer waste. The paper is colored, providing an attractive backdrop for the fun paper flowers design. 22" x 16-13/16" page size.